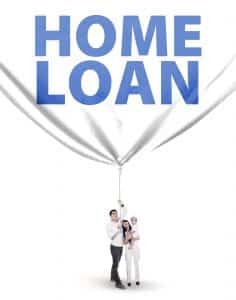 There are a range of home loans available in Australia, so it can be hard to understand their features and whether they are right for you. This guide explains all you need to know. Variable loans are loans that are subject to interest rate fluctuations. Whenever your bank increases or decreases interest rates, you will end up either paying more or less for your loan, depending on what the bank has decided to do. A typical owner-occupied mortgage is taken out over 25 or 30 years, although you can reduce the overall term by making higher or more frequent payments. Mortgages are either based on principal (the amount you borrowed from the bank) and interest (the amount you pay back for having borrowed that money) loan repayments, or interest-only repayments (generally available for 1-5 years for owner occupied loans and 1-10 years for investment loans) where none of the principal component of the loan is paid down. Fixed loans allow you to lock in a specific interest rate over a set period of time, generally between one and five years. This loan is popular among borrowers who want to ensure their repayments don’t rise. The main risk is that if variable rates fall, you are locked in at a higher rate. The cost of breaking a fixed rate loan contract can be substantial, and there can be financial penalties for making additional payments. You can take out a mortgage with one portion of the loan variable, and the other fixed. In many ways, this offers the best of both worlds and you have the flexibility to repay more on the variable loan and reduce risk through the fixed loan. Mortgage lenders require you to provide evidence of your ability to meet loan repayments, but this can be a problem for non-salaried workers such as the self-employed. Low-doc loans require less proof-of-income paperwork, but the interest rate levied is often higher than the standard variable rate. Some lenders offer mortgages that provide ‘lifetime’ discounted interest rates, fee waivers and linked savings accounts and credit cards. These options are generally offered on high loan amounts. Lenders prefer borrowers to show they have the ability to save funds over time to cover their repayments. If a deposit is accrued quickly due to an inheritance or from other sources, lenders may provide less funding and require lenders mortgage insurance. Lenders mortgage insurance is a one-off insurance payment that covers the bank in case you can’t make your repayments. It is usually required for home loans with a loan-to-value ratio (LVR) over 80%. These loans allow amounts of finance to be drawn down progressively to cover the various stages of a construction project. Repayments (generally only on interest for the first 12 months, then principal and interest thereafter) are only made on the amount of the loan facility that has been drawn down. However, there are line fees on the undrawn amount, or in most cases on the total facility limit. This is a way of tapping into equity in an existing home and drawing down funds as required for different purposes, such as renovations. Similar to a credit card, repayments are only made on the amount drawn down. Line-of-credit loans are often interest-only for a significant period, but can revert to principal and interest repayments down the track. Most lenders charge extra for line of credit accounts, either through a facility fee, undrawn funds fees and/or a higher interest rate. Bridging loans are designed as short-term financing options for borrowers who need funding to buy a new residence before selling their existing home. The interest rates on these loans are higher than the standard variable interest rate. The rules around borrowing funds within a self-managed superannuation fund are complex. Borrowings with a SMSF must be undertaken through a limited recourse borrowing arrangement, which limits the recourse of the lender to a single asset. With mortgage lenders offering so many different products, getting professional advice is a must. A mortgage broker will support you with recommendations about what’s best for your personal circumstances. For more information on home loans, talk a mortgage broker today.